Herbert Hoover seemingly had everything you would want from a President. He was well-educated, with a degree in geology from Stanford. He had traveled the world. He was a successful businessman. He showed he could organize people all over the world to ward off famine. Herbert Clark Hoover was born into a Quaker family on August 10, 1874 in West Branch, Iowa. He was orphaned at the age of 10 and sent off to live with an uncle in Oregon. Not surprisingly, Hoover had a very unhappy childhood. His uncle, who had recently lost his son, didn’t find Herbert Hoover a suitable replacement. But, Hoover did get an education. And, in 1891, Hoover was admitted to the first ever class of a new university in California: Leland Stanford Junior University. Hoover’s field of study was geology. While at Stanford, Hoover found the eye of another woman who was in the geology major. Actually, she was the ONLY woman in the geology major at the time. Her name was Lou (short for Louise) Henry. The two would eventually marry in 1899. In addition to raising two children, Herbert and Lou collaborated on an English translation of the 16th Century textbook on metallurgy called De re metallica. Hoover was also the student manager of the football team. He is credited with coming up with the idea for the first Cal-Stanford Big Game in March of 1892. Stanford won the first meeting 14-10, although the game was delayed supposedly because Hoover neglected to bring a football with him. Fresh out of college, Hoover managed to get a job with the English mining firm of Bewick, Moening, and Company. He traveled the world inspecting mines for the company. He became an expert at getting mines that were not meeting production quotas up to speed. By the age of 27, Hoover was a full partner in the firm and moved to London fulltime. In 1908, Hoover left Bewick and became a consultant. He made millions hopping around the globe trying to get mines to produce more. His style was autocratic, but highly successful. Leuchtenburg points out that despite Hoover being orphaned at a young age, he didn’t try to be much of a parent to his own two sons. While on his frequent travels, he would communicate infrequently with his children and even his wife. When World War I began in 1914, Hoover’s public profile shot up. Hoover helped finance the journeys of numerous American expatriates back to the United States. Many had found their lines of credit cut off by banks because of the war. But, the biggest problem Europe faced was hunger. Belgium was the country where much of the initial fighting took place, and, according, it suffered the most. Hoover managed to convince both the British and German to allow him to bring in relief supplies to prevent a humanitarian crisis. Hoover was also determined to make sure that the relief went directly to the people who needed it, and was not siphoned off to any army. Hoover’s efforts in Belgium made him a worldwide figure. Once the United States entered the war in 1917, President Woodrow Wilson summoned Hoover back to the United States to head up the newly created Food Administration. Hoover was charged with keeping America’s food supply going to meet the added demand of a war. Hoover did not want to have to resort to rationing. Instead, he created a small army of volunteers (nearly all of the women) to go door to door to encourage people to forego meat on Mondays or wheat products on Wednesdays. Hoover was given wide latitude by Congress and the President to act as he saw fit. He was dubbed “the food czar.” No matter what the title was, Hoover got results. The United States did not have to force the rationing of food during World War I. When the war was over, Hoover was possibly the most popular political figure in the United States. Hoover supported Wilson’s efforts during the negotiations at Versailles. He came out in favor of the League of Nations. He opposed the stepped up prosecutions of Communists by Wilson’s Attorney General Mitchell Palmer. Hoover was the darling of the Progressive movement. One prominent Democrat, Franklin Delano Roosevelt, hoped that the party could convince Hoover to run for President in 1920. There was one problem: nobody knew what party Hoover belonged to. Hoover had never explicitly said so. Finally, in the summer of 1920, Hoover announced that he was a Republican. One reason for this was that Hoover did not wish to be identified with racist Southern Democrats. Also, Hoover could see that the Democrats were sure losers in 1920. Hoover revolutionized the office of Secretary of Commerce. He was able to convince the President and Congress to add more responsibilities to the job. Under Hoover, the Commerce Department took control of the Census, the regulation of air travel, and the regulation of radio frequencies. Hoover established commissions to study pretty much any issue that he felt that the Commerce Department might have some responsibility for. After Calvin Coolidge became President after the death of Harding, Hoover remained in the job. Coolidge did not particularly care for Hoover, sarcastically referring to him as “the Boy Wonder.” But, Hoover could not be replaced. He had made himself indispensible in the eyes of the public. In 1927, one of the largest natural disasters ever to befall the United States hit. It was the Mississippi River Flood. Over 700,000 people had to leave their homes. 27,000 square miles of land were flooded. Over 200 people died. Hoover was tabbed by Coolidge to head up the relief efforts. This was an area where Hoover did his best. He traveled throughout the affected areas, ordering people to fix problems, not in a week, not in a day, but NOW. Orders were given by Hoover. He expected them to be obeyed. Hoover also made sure that aid was equally distributed to both white and black victims of the flood. This earned him the enmity of some in the South, but further burnished his image with Progressives. When Calvin Coolidge chose not to run for another term in 1928, Hoover was the presumptive Republican nominee for President. He faced little opposition and had to do little campaigning to win the nomination. Although the Republican Convention was held in Kansas City, it was still not the practice at the time for the candidate to be present to receive the nomination. So, Hoover gave his acceptance speech at Stanford Stadium. The election of 1928 was no contest. The Democrats nominated New York governor Al Smith, who was the first Catholic nominee from a major party. America was not ready to elect a Catholic, especially one who favored the repeal of Prohibition. Hoover won 58% of the popular vote and 40 of the 48 states. Hoover even won four states of the Confederacy, Texas, Florida, Virginia, and Tennessee, which was quite a feat for that era. Hoover’s inaugural address was full of high-flying language. We are steadily building a new race—a new civilization great in its own attainments. The influence and high purposes of our Nation are respected among the peoples of the world. We aspire to distinction in the world, but to a distinction based upon confidence in our sense of justice as well as our accomplishments within our own borders and in our own lives. Hoover had big plans for his Administration. He wanted to streamline government regulations and was prepared to establish numerous commissions to accomplish this. (This has been a popular technique since). There was a proposal to build what would become the St. Lawrence Seaway, the San Francisco-Oakland Bay Bridge, a dam in Boulder Canyon of the Colorado River (which would become Hoover Dam). There were also plans to reform the Federal prison system. Hoover also canceled all leases for oil drilling on Federal lands. On October 14, 1929, Hoover attended Game 5 of the 1929 World Series at Shibe Park in Philadelphia. He received a huge ovation from the crowd. Note: Half-assed attempts at explaining economics follow. Any resemblance between my writing and actual economic theory is entirely coincidental. Ten days later, Black Thursday hit Wall Street. Over 12 million shares (besting the previous high by 4 million) were traded at the New York Stock Exchange on October 24, 1929. The Dow Jones average dropped from 305 to 299. But, Wall Street said that there was little to worry about. On the following Monday, the Dow dropped to 260. And on Tuesday, it was 230. The slide would continue until 1932. The Dow lost 89% compared to its high on September 3, 1929. The Wall Street Crash was just one symptom of the many problems of the Great Depression. Banks began to rein in credit (or simply just fail) and foreclose on homes and farms. Industries cut back on wages or laid off employees. People saw their life savings disappear. Hoover, faced with an unprecedented crisis, took steps that most economists believed only exacerbated the problems. One of the biggest blunders was his signing of the Smoot-Hawley Tariff in June of 1930. This bill raised tariffs to unprecedented levels. The result was a sharp decline in imports. Also, other nations passed their own protective tariff measures. Despite his background in humanitarian causes, Hoover gave the impression that he didn’t care much about the problems that many Americans were facing. Part of this was from the fact that Hoover was now a President. He had to work with Congress and politicians with different agendas. He found himself in a position where he had less authority to get things done. Hoover was also strongly opposed to any Federal government handouts, feeling that they contrary to the spirit of individualism that he was trying to build in the country. Despite his wide travels in the world, Hoover was not an expert on foreign policy. He hoped to ease tensions between the United States and Latin America, but ended up sending troops using troops to prop up a right wing regime in Nicaragua, setting up the long battle between the Somoza regime and the Sandinistas that would last until the Reagan years. (Hoover would withdraw the troops before he left office.) Hoover, like most other world leaders of the time, did not do much of anything to stem the rise of German fascism or Japanese militarism. The nadir of his unpopularity may have been in July of 1932 when a group of World War I veterans marched to Washington asking Congress to pay them a promised bonus for their military service a few years early. The ragtag group camped out in Washington, but Hoover ordered the Army to clear them out. Under the direction of Douglas MacArthur, the Army routed the so called “Bonus Army” from their encampment. The Army was portrayed as using brutal means to accomplish this, although most accounts agree that it didn’t take much force to get the protesters to move. Also, rolling tanks down the streets of Washington tend to make people less inclined to protest. There was one forward looking project that Hoover tried in an effort to provide some help. In the summer of 1932, Hoover started a program called the Reconstruction Finance Corporation. It was a government entity that would provide loans to state and local government, along with banks and other financial institutions. But, the program was bogged down in bureaucracy and little of the money that the RFC was authorized to lend was spent during Hoover’s term in office. Hoover was pleased that the Democrats nominated Franklin Roosevelt for President in 1932, feeling that he had a much better chance of beating him in November. Hoover thought that Roosevelt was an intellectual lightweight. But, Hoover could not overcome his unpopularity. He was also no match for Roosevelt as a campaigner. Roosevelt seemed energetic and positive. Hoover was dour and stuffy. After winning 40 states in 1928, Hoover would win just six in 1932. Hoover received just 39% of the popular vote and only 59 electoral votes, 36 of them from Pennsylvania. Hoover’s home state of California gave him just 37% of the vote. During the campaign, Hoover was personally hurt by Roosevelt’s claim that Hoover had encouraged reckless speculation in the stock market. (In fact, Hoover had done the opposite as Secretary of Commerce.) Hoover wanted to have Roosevelt work with him during the transition to calm the financial markets. But, Roosevelt refused and remained silent. On March 4, 1933, Hoover had to hold in his emotions as Franklin Roosevelt took the oath of office. He felt as if his life’s work had all been for naught. After Roosevelt’s death, Hoover headed up a commission for President Harry Truman that examined government waste and inefficiency. This job won Hoover some plaudits. Eventually, Hoover took on the air of a beloved elder statesman. The Republicans held “farewell” celebrations for him at their conventions in 1952, 1956, and 1960. The Senate honored Hoover in 1957 with Massachusetts Senator John F. Kennedy feting the former President. Hoover was too ill to attend the 1964 convention, although nominee Barry Goldwater offered his respects. Hoover was working on his own biography of Franklin Roosevelt before his death. It has never been published or even released to scholars for inspection because, according to Leuchtenburg, its tone is so strident that it would tarnish Hoover’s reputation more than Roosevelt’s. Herbert Hoover died on October 20, 1964 in New York City at the age of 90. He was buried back in his native Iowa alongside his wife Lou, who had died in 1944. Leuchtenburg has penned an interesting biography of a man who was very hard to know. The private side of Hoover was seldom revealed, even to people in his own family. Leuchtenburg tries to shed light on an almost entirely opaque figure. Hoover was someone who Americans, at least for a while, admired. But they didn’t seem to actually like him. Hoover didn’t want to be liked. He wanted to get things done, but he never could figure out how to get things done as President. When you become President, you have to know how to work with people, not just order them around. Hoover likely came to the White House expecting to do great things, but the Great Depression ended those hopes. Would Hoover had fared better during a time of prosperity? We don’t know. But, you can only judge Hoover by what he did with the situation he was given. In a country that was losing hope, Hoover offered almost none. Please note a correction above marked by strikeout and italic type. Other stuff: Herbert and Lou Hoover are buried at the Herbert Hoover National Historic Site in West Branch, Iowa. The Herbert Hoover Presidential Library and Museum is part of that site. After World War I, Hoover started a research institute at Stanford to study the cause of the war. Since then, the Hoover Institution has become of the one most influential conservative think tanks in the United States, covering all aspects of public policy. Some of its fellows have included Condoleezza Rice, George Shultz, Edwin Meese, Milton Friedman, and Thomas Sowell. Hoover was the last sitting Cabinet member to be elected President and only the fourth one overall. The other three were James Madison, James Monroe, and John Quincy Adams, all of whom were Secretaries of State. The only other candidate from the two major parties who attended a Pac-10 university was Barry Goldwater in 1964. Goldwater attended, but did not graduate from the University of Arizona. Between the time of Andrew Jackson and before the time of Abraham Lincoln, American Presidents were an undistinguished lot, to put it kindly. No one served more than one term. Most are forgotten. However, one man in the job managed to stand out. That was James Knox Polk. Polk was the lone President of his era who used the office to actually get things done. He came, seemingly from nowhere; and then, after one term, died soon after leaving office. Polk’s mostly glowing reputation stems from the fact that he promised to accomplish four major goals while in office. And he did that. Whether or not Polk used methods to accomplish these goals (such as fighting a war of conquest against Mexico that was of questionable legitimacy) is what needs to be evaluated. However, it seems clear from reading this book that James Polk was a man who was very intent on getting things done. James Polk was born in Mecklenburg County, North Carolina on November 2, 1795, but his family moved to Tennessee when he was 11. At age 17, young James Polk suffered from a severe pain in his urinary tract. He had a stone lodged in a delicate part of his anatomy. A doctor removed the stone in a way that you don’t want the details of. One of the side effects was that James Polk never had any children. When Polk returned to Tennessee, he got a job as the clerk of the State Senate in 1819. He began to build relationships with prominent Tennessee politicians such as Davey Crockett, Sam Houston (both of whom would move on to Texas), and, most importantly, Andrew Jackson. By 1823, Polk was elected to the Senate. The next year, he married his wife Sarah. Polk supported Jackson in his quest for the Presidency in 1824, and, like many (since Jackson got the most popular AND electoral votes), was bitterly disappointed when John Quincy Adams was chosen President by the House of Representatives. Polk fingered Henry Clay as the chief villain. In 1825, Polk was elected to the House of Representatives. By 1833, he was chairman of the House Ways and Means Committee, thanks to Jackson’s support. In 1834, Polk ran for Speaker of the House, but lost out to another Tennessean, John Bell. However, in 1835, Polk finally ascended to the Speakership. However, Polk had to give up the Speakership in 1839. He was needed back in Tennessee as the Democrats needed a strong candidate for governor. He won that race, but was defeated for reelection in 1841. When he challenged the incumbent governor (James Jones, portrayed as a hayseed by Borneman) in 1843, Polk lost again. He seemingly was a man going nowhere politically. Polk still had hopes that he could get back to higher office. His goal for 1844 was to be the Democratic nominee for Vice-President. As he was just 49, Polk figured he could wait until 1852 or 1856 to get a shot at the Presidency. But, events took a strange turn. In 1844, the hottest political issue in the country was Texas. The then independent country was practically begging to become part of the United States, as it was heavily in debt, and threatened by Mexico and Great Britain. President John Tyler submitted a treaty annexing Texas that the Senate rejected. Northerners were hesitant to admit such a large slave-owning state into the Union. Tyler’s third Secretary of State (the first one, Daniel Webster, resigned. The second one, Abel Upshur, died in a steamship explosion), John Calhoun, was a proponent of annexation. However, he hurt his plan when he wrote a lengthy diplomatic memorandum to the British minister to the U.S. detailing why slavery was good for Texas and good for America. Texas was now inextricably linked in the minds of many with slavery. The two presumptive nominees for President in 1844 were Whig candidate Clay and Democratic ex-President Martin Van Buren. Clay was opposed to the annexation of Texas because it would create divisions over slavery and possibly provoke a war with Mexico. Van Buren turned out to be opposed to annexation as well, also because of fears of adding any more slave-owning states to the Union. Clay and Van Buren announced these positions coincidentally on the same day. When news of Clay and Van Buren’s opposition to Texas reached Andrew Jackson, in retirement in Tennessee, Old Hickory summoned his protege, Polk, to visit him. Polk was a proponent of the annexation of Texas. Polk was pretty much in favor of adding just about any territory the United States could get its hands on. Jackson told Polk that he should aim for the Presidency in 1844. Jackson could make it work. Both parties held their conventions in Baltimore in 1844. The Whigs nominated Clay by acclamation. They assumed that the Great Compromiser would have his best chance to win the Presidency in his third try. The Democrats were facing a much more difficult situation. For starters, Democratic party rules required any nominee to gain 2/3 the votes of the delegates. Van Buren led in delegates, but was well short of 2/3. And there was significant opposition to Van Buren. But, there was no one candidate for the anti-Van Buren forces to rally around. During the eighth ballot, Polk received 44 votes. Then on the ninth, there was a stampede for Polk, bringing him up to 231 votes and making him the nominee. The convention then nominated Silas Wright of New York for Vice President, but he declined as he chose to run for governor of New York. The convention then chose George Dallas of Philadelphia. The Whigs derisively asked “Who is James K. Polk?” Polk was considered to be untested and inexperienced, despite his tenure as Speaker of the House. Henry Clay had the resume to be president. Also, Polk pledged to serve just one term, which neutralized a similar pledge that Clay had made. The Whig party did not believe that the President should have much power, but did believe in an activist government that spent money on internal improvements. The Democrats believed in a powerful executive, but also in limited government. It made a lot more sense back in 1844 than it does now. The Texas issue was solved (to a certain extent) before Polk was inaugurated. On March 3, 1845, Tyler signed a Congressional joint resolution annexing Texas as part of the United States. Once the details were sorted out, Texas would become a state. As Clay sulked over being denied the Presidency a third time, Polk got to work almost immediately. He intended to be an active hands on manager. He insisted that his Cabinet members stay in Washington and be available to him at all times. He tried to schedule Cabinet meetings twice a week. Polk’s first big issue he faced was the Oregon situation. The Oregon Territory had been jointly occupied by the Americans and British since a treaty in 1818 (the Spanish and Russians also had claims to the area, but they abandoned them.) The area was sparsely populated, with cafe lattes being much harder to find than they are now. The 1818 Treaty had a provision where either signatory could ask out with one year’s notice. Presumably, the issue would then be resolved by negotiation, arbitration, or going to war. Polk wanted negotiation or war, with little use for arbitration. The British were willing to negotiate the situation, but it was hard getting an agreement on where to draw the border. The 49th Parallel represented the border between the U.S. and Canada from Minnesota until you hit the Oregon Territory. One plan had the U.S. getting most of the Oregon Territory except for the area around Puget Sound stretching out east to the Columbia River. Polk and Buchanan finally agreed to compromise on a border at the 49th Parallel. The British asked for unrestricted navigation for the Hudson’s Bay Company. Polk agreed to this after the State Department found out that the Hudson’s Bay Company was going to lose its charter in the 1850s anyway. The treaty was ratified on June 18, 1846. Polk bought everyone espressos to celebrate. One quirk of this decision was that there ended up being part of the United States that would only be accessible through Canada. That area is now called Point Roberts, Washington. I visited it once. It’s really not worth the trip. What Polk is known best for is the Mexican War. This conflict would end up adding three whole states and parts of four others to the United States. It would also prove to be a prelude to the Civil War. And, even today, the peace treaty concluding the war is still in dispute. After Polk indicated he would make Texas a state (making it much easier for fans to travel to the Cotton Bowl), Mexico broke off diplomatic relations with the U.S. Polk didn’t see this as a crisis, but rather an opportunity. Polk ordered General Zachary Taylor to take up a position in Texas south of the Nueces River near Corpus Christi (which Mexico believed to be the border) and north of the Rio Grande (which the United States thought was the border). Polk had a representative, John Slidell, travel to Mexico City to offer the Mexican government $25 million plus some debt relief in exchange for the territories of New Mexico and Alta California. The Mexican government (which changed frequently at this time) declined the offer. On April 25, 1846, Taylor’s troops were engaged by Mexican forces and eleven soldiers were killed. When news of the battle got back to Washington, Polk claimed that “American blood had been spilled on American soil.” He asked Congress to declare war, which was done with only a handful of dissenting votes. Polk hoped that a $2 million inducement would bring former Mexican President Antonio Lopez de Santa Anna return from exile. Polk figured that Santa Anna would retake control in Mexico, followed by a surrender. However, Santa Anna just took the money, and kept fighting. Santa Anna would eventually serve as Mexican President four separate times. Fremont’s adventuring ended up complicating matters greatly. However, Kearney was eventually able to gain control of the area after a series of small battles in Southern California. The Treaty of Cahuenga finished off this part of the war. The portion of the war in Mexico proved to be a bit more difficult. For starters, both of the principal American generals, Taylor and Winfield Scott, were Whig politicians who were reportedly angling for the Presidency. Scott had already made attempts to gain the nomination in 1836 and 1840. Taylor also did not want to help out Scott, who was given the order to make an amphibious landing at Veracruz to take that port, and then proceed on to Mexico City. Taylor won a major battle against Mexican forces in the Battle of Buena Vista (although Borneman doesn’t give Taylor much credit) on February 22, 1847. The Whig press seized upon this victory as one of America’s greatest military triumphs, although mass desertions in the Mexican ranks probably helped out more. Meanwhile, Polk sent another minister to Mexico, Nicholas Trist, to join Scott. Once Scott captured Mexico City, Trist was to present his credentials as an ambassador and negotiate a treaty. Scott managed to successfully land at Veracruz in March of 1847. Some of the officers under Scott’s command were Robert E. Lee, Ulysses S. Grant, and George Meade. It was like spring training for the Civil War. Scott pushed on to take over Mexico City and on to Puebla, before stopping his advance in May of 1847. Now, it was time to negotiate. Polk wanted Trist to get the Mexican government to cede to the U.S. all of Alta California and New Mexico as “payment” for the war costs. Trist turned out to be of an independent mind. He first offered to settle the Texas-Mexico border NORTH of the Rio Grande, which would have made the whole cause of the war bogus. When Polk got wind of this, he wanted Trist to come home. Fortunately for Trist, communications were slow enough that he had enough time to convince the Mexican government to give Polk almost all of what he wanted. Mexico agreed to give up the land shaded in red in the linked map in the Treaty of Guadalupe-Hidalgo. The treaty was signed on February 2, 1848. Trist sent it back to Washington quickly, forcing Polk to have to send it on to the Senate. With the exception of a section that would have guaranteed Spanish and Mexican land claims, the Senate accepted the treaty on March 10, 1848. Polk’s conduct of the war was not popular with everyone. An Illinois Representative named Abraham Lincoln tried to get Congress to pass what he called “The Spot Resolution” that would force Polk to identify the actual spot where the initial hostilities happened. It did not pass. In Massachusetts, Henry David Thoreau refused to pay a tax in support of the war and went to jail for a night because of it. Thoreau penned his famous essay “On Civil Disobedience” based on this experience. Another problem for Polk came from another member of his party, Representative David Wilmot of Pennsyvlania. Wilmot tried to attach a rider (more frequently called the Wilmot Proviso) to an appropriations bill for the war that would have abolished slavery in any territory taken from Mexico. The Wilmot Proviso never passed, but it served as a model for antislavery forces leading up to the Civil War. One of the questions about Polk’s Administration is: Did he start the war with Mexico in order to provide the South with more territory that would be available for slavery? Borneman doesn’t think that was the case. He portrays Polk as an ardent nationalist in the tradition of Andrew Jackson. Polk wanted California as much for strategic purposes as anything else. However, Polk’s reputation for most of the post Civil War period portrayed him as a greedy slaveowner. However, Polk did not leave much of a legacy. Zachary Taylor, whom Polk thought would be a terrible President, succeeded him. Polk and his wife Sarah hoped to spend a quiet retirement in Nashville. But Polk was not a healthy man. The linked photo shows Polk in February of 1849. He is just 53 years old in the photo. The Polks went by boat from Washington and headed south. They planned to go up the Mississippi back to Tennessee. One of the ships the Polks were on was riddled with cholera sufferers. Polk fell victim to it. On June 15, 1849, just 103 days after leaving office, James Knox Polk died in Nashville. He had the shortest retirement of any President. He also was the youngest President to die of natural causes. His widow, Sarah, lived until August 14, 1891, the longest widowhood of any First Lady. Borneman’s book, at least the title, claims that Polk changed America. However, it seems to me that Polk was more of a phenomenon than a trendsetter. There would not be another President who would use the office of the Presidency in a similar way until Abraham Lincoln. And Lincoln was opposed to almost all of Polk’s policies. Polk is unique in American history in that he seemingly came from nowhere, made an enormous impact on the country. Then he died, leaving no political legacy whatsoever. The two Democrats who followed Polk in office, Franklin Pierce and James Buchanan, were two of the worst Presidents ever. By the times the Democrats got back to the White House in 1885, James Polk’s time had long passed. Other stuff: The James Polk House is in Columbia, Tennessee, but it’s not where he died. That home was torn down in 1901. Instead, it’s a home from 1816 where Polk lived for a time. James and Sarah Polk are entombed on the grounds of the Tennessee State Capitol in Nashville. For a job that has only had 43 different men in it, it seems to hard to believe that some people to hold the office could be as obscure as Millard Fillmore. America’s 13th President, an amiable politician from Buffalo, somehow managed to work his way up to the highest office in the land. Yet, he failed to make much an impression. For some people, he’s just a joke. He’s the namesake of a conservative cartoon duck. However, Robert J. Scarry, a retired high school history teacher from Moravia, New York, dedicated much of his life to the rehabilitation of Fillmore’s image. He tried to chronicle all aspects of Fillmore’s life. His 2001 book, published near the time of his death, can be quite a chore to read. The book goes on and on and on about just about everything in Fillmore’s life, but doesn’t really explain much. Scarry wants us to come to respect what Fillmore accomplished. But, in the end, you don’t really learn much of anything about Fillmore. Millard Fillmore was born on January 7, 1800 in a log cabin in Moravia, New York. He had little formal education growing up. When the War of 1812 started, young Millard wanted to serve in the Navy, but his father prevented him from signing up. Instead, Millard Fillmore was hired out as an apprentice and eventually learned the trade of wool carding. In addition to earning some money, Fillmore received an education. It wasn’t much of one, but he managed to get a job when he was 18 as a school teacher. Such was the state of American education at the time, that a young man with little education and who could barely read or write better than the students was the teacher. Nevertheless, Fillmore worked hard at the job and also learned how to read and write better on his own. At age 19, Fillmore met his future wife, Abigail, who was also a school teacher. Abigail was far more learned than Millard and she would help round out his education. Around the same time, Fillmore met a local judge, Walter Wood, and learned the law from him. Eventually, Fillmore moved to East Aurora where he set up a practice. In 1826, Millard and Abigail finally married. They had two children, a son Millard Powers, and a daughter, Mary Abigail. Fillmore also began to develop political connections in the area. He moved to the biggest city in the area, Buffalo, in 1830. In 1828, Fillmore ran for the New York State Legislature as a member of the Anti-Masonic Party. As you might guess from the name, this party was opposed to the practice of Freemasonry. This was actually a potent political force at the time. The Anti-Masonic Party is credited with being the first party to nominate a Presidential candidate by convention. Fillmore worked his way up in notoriety in the New York legislature, becoming an expert on bankruptcy law. In 1833, Fillmore was elected to a seat in the U.S. House of Representatives. He eventually aligned himself with Henry Clay’s supporters, who would become the Whig Party in 1836. When William Henry Harrison was elected President in 1840, the Whigs took control of the House. Fillmore was a candidate for Speaker, but lost the race. As a consolation prize, he was made Chairman of the House Ways and Means Committee. Outside of one tariff bill, Fillmore did not seem to accomplish much during his time in the House. But, people seemed to like him. In 1844, he was considered for the Vice Presidential slot alongside Clay, but lost out to Theodore Frelinghuysen of New Jersey. Frelinghuysen was serving as chancellor of NYU at the time. Frelinghuysen’s father was a Senator, his nephew and adopted son became a Senator and Secretary of State, his great-great nephew served in the House, and his great-great-great nephew currently serves in the House. Another Frelinghuysen was also a Senator from New Jersey. Fillmore decided to run for governor of New York. However, 1844 was not a good year for the Whigs. Democrat James Polk won the Presidency and Silas Wright was elected Governor of New York. It seemed that Fillmore’s political career was over. But, you can’t keep a good man down. Or, in this case, you can’t keep a guy who doesn’t seem to get anybody angry down. In 1847, the state of New York made the office of comptroller elected. Fillmore won that race. The job served to keep Fillmore in the public eye. Taylor and Fillmore beat the Democratic ticket of Lewis Cass and William Butler by a margin of 5%. Former President Martin Van Buren ran as a third party candidate for the Free Soil Party and won 10% of the vote, but no states. Fillmore and Taylor didn’t meet each other until shortly before the Inauguration. Fillmore’s political enemies in New York, Whig party bosses Thurlow Weed and William Seward, had managed to isolate Fillmore from Taylor, and controlled the patronage for the state. Fillmore had little to do but sit around in the Senate and listen to debates. This wasn’t a bad thing. Fillmore got the best seat in the Senate chamber for some of the greatest orations in the nation’s history. The biggest political issue of the day was an Omnibus Compromise Bill proposed by Clay to solve the problem of how to incorporate the new territories won from Mexico into the United States as either free or slave states. However, some of the debate was quite heated. Fillmore wanted to be able to rule Senators out of order for using impolite speech, but the Vice President had lost this power back in 1828. Fillmore tried to get the Senate to amend its rules to restore this power to him. On April 3, 1850, Fillmore tried to rule that Missouri Senator Thomas Hart Benton was out of order. Clay was furious. Words were spoken. Eventually, Mississippi Senator Henry Foote pulled a gun on Benton. Fortunately, Foote didn’t fire. The Omnibus Bill was too big for Congress to act on before it adjourned for the summer. While Congress was away, President Taylor stayed in Washington in the summer of 1850. President Taylor contracted cholera and died on July 10, 1850. Millard Fillmore became the 13th President of the United States. Taylor had indicated that he would veto the Compromise bill, but Fillmore was inclined to support it. However, it was still having trouble getting through Congress. Illinois Senator Stephen Douglas hit upon the idea of separating the bill into several parts and having them passed separately. This allowed different coalitions to support each bill. The plan worked. Fillmore signed into law all the parts of the Compromise of 1850. The most controversial part of the Compromise of 1850 turned out to be the Fugitive Slave Act. The return of runaway slaves had now become a Federal matter. Slaves could be hunted down by special marshals and returned to their owners without any court hearing. The measure was bitterly opposed in some parts of the North. Fillmore believed that the Act was necessary to keep the Union intact. For the rest of his term in office, Fillmore did not accomplish much of note. He did threaten South Carolina with force to keep that state’s governor from calling for a secession vote. (And the governor did not go to Argentina either.) Fillmore also had to send in troops to keep Texas redrawing the New Mexico border line. There wasn’t much for Fillmore to do legislatively. Congress was too deeply divided to accomplish much of anything. Fillmore did try his hand in foreign affairs. He sent a fleet of ships under the command of Commodore Matthew Perry to Japan in an attempt to open trade with that mysterious nation. However, the ships didn’t arrive until Fillmore’s term in office ended. Also, Fillmore managed to avoid going to war with Peru over some uninhabited islands in the Pacific that were rich in guano deposits. In 1852, Fillmore hoped that the Whigs would renominate him. But, he couldn’t run away from the Compromise of 1850. Even though it managed to keep the Civil War at bay for 10 years, it managed to anger enough people on both sides of the Mason-Dixon line to make Fillmore’s name mud. Fillmore hoped that his Secretary of State, Webster, would get the nomination. But, the Whigs nominated another Mexican War hero, Winfield Scott. This might have been a good thing as Webster died before the election was held anyway. Also, Webster was likely an alcoholic. But aside from being a dying alcoholic, Webster was Presidential material! Democrat Franklin Pierce won the election. 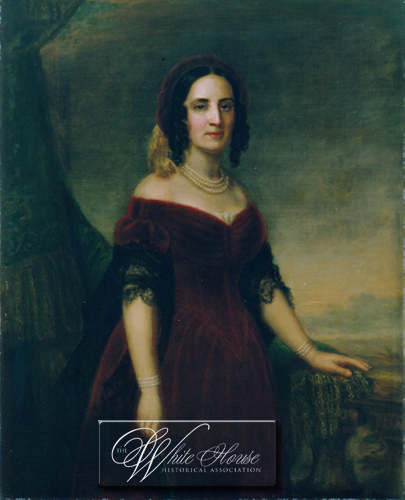 Abigail Fillmore died soon after Pierce’s inauguration. In 1854, Fillmore’s daughter Mary Abigail died at age 22 of cholera. To get over the grief of losing his wife and daughter so soon, Fillmore went on the grand tour of Europe. While he may have appeared to have been out of politics, Fillmore was still in the game. There was a new political movement in the country called the Know Nothings. This political party, which swore its members to secrecy about its platform (hence the name), was the Lou Dobbs Party of its time. The party opposed increased immigration into the United States for fear of losing jobs to lower paid immigrants. (And you thought this was a new issue.) The Know Nothings were also anti-Catholic, primarily because many Catholics were Irish immigrants. The Know Nothings (officially called the American Party) nominated Fillmore for President while he was in Europe. Fillmore didn’t get back to the U.S. until June 22, 1856. Why did Fillmore decide to join the Know Nothings. Scarry thinks that Fillmore didn’t identify closely with the Know Nothings nativist platform, but felt that they were better equipped to run the country than either the deeply divided Democratic party, or the new antislavery party, the Republicans. There was also the matter that Fillmore might have wanted to become President again because he needed the money. Ex-Presidents received no pension at this time. One of the paradoxes of Fillmore running as a Know Nothing was that he started out as an Anti-Mason. So his political career began with him being opposed to secret societies. And being opposed to anti-Catholic groups. And as a Know Nothing, Fillmore had to join a secret organization and become anti-Catholic. Fillmore finished third in the 1856 election with 21.7% of the vote and eight electoral votes from Maryland. Fillmore realized that he was through as a politician. He remarried in 1858 and spent the rest of his retirement acting like a former President with very little to do. Fillmore gave speeches. He took vacations. Sometimes people would ask him his opinion on important matters. Right before Abraham Lincoln’s inauguration, the United States was going to have its greatest glut of former Presidents living. Van Buren, John Tyler, Fillmore, Pierce, and James Buchanan were all still alive when Lincoln was inaugurated. There was talk of asking the five former Presidents to come up with some plan to save the union, but Lincoln wasn’t interested. Also, it’s doubtful that those five men could have agreed on anything. It probably didn’t help that Tyler had been elected to the Confederate Congress either. Millard Fillmore passed away at his home in Buffalo on March 8, 1874. It was a big event in Buffalo, but not much of a news event in the rest of the country. After about 350 pages (I skipped some parts where the author just reprinted the full text of some rather uninteresting letters) about Millard Fillmore, I can only think that Millard Fillmore’s principal accomplishment as President was just showing up for work. Other stuff: The Millard and Abigail Fillmore House and Museum is in East Aurora, New York. A replica of the log cabin where Fillmore was born is part of Fillmore Glen State ParkForest Lawn Cemetery in Buffalo. The University of Buffalo’s school for distance learning and adult education is named for Millard Fillmore, one of the school’s founders. H.L. Mencken, as a gag, wrote that Millard Fillmore installed the first bath tub in the White House. This was not the case, although the story has been perpetuated until this day. Scarry spends a couple pages on the story and determines that it was likely James Madison who installed the first bath tub. Hot and cold running water took longer to install. I am trying to contemplate Thomas Jefferson spending eight years in Washington without a bath. Good thing he was single at the time. Millard Fillmore’s father, Nathaniel, lived to be 91, which was the oldest age of any Presidential father to date. John Adams had held the record by living to be 90. George H.W. Bush is the only person alive now with a chance to break the record.